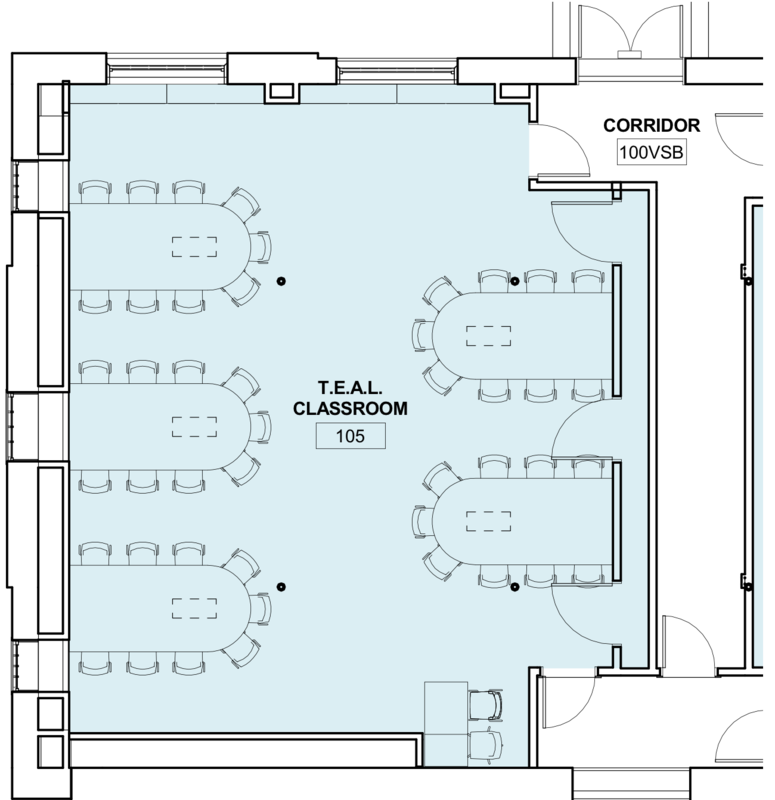 MIT designed the Technology Enabled Active Learning, or TEAL classrooms. 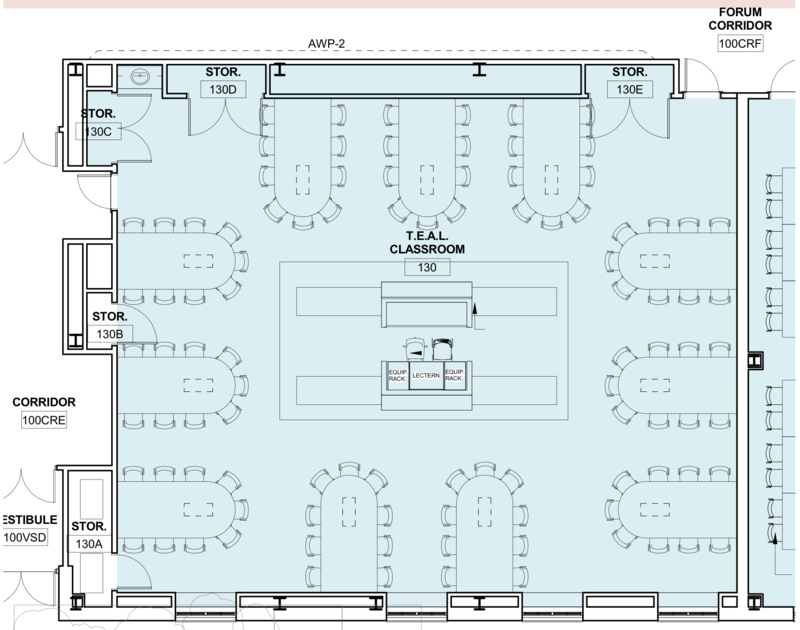 This room design has no front or back, the teacher has a work station for their computer and document camera, and the students sit at round tables of 9 students per table with a monitor and white board at each table. The technology is very flexible. For example, the teacher can project content from their computer to all the table monitors, each table can project their content to their own table monitor or to all the table monitors in the class, and there is wireless internet to connect to online content or myCourses to name a few. Introducing technology-rich classrooms can enhance student engagement and create an opportunity for the University of New Hampshire faculty to implement various active learning exercises using the technology. UNH has made the decision to invest in this innovative technology. Hamilton Smith houses two Technology Enabled Active Learning classrooms.